Shark attacks in the Mediterranean are thankfully very rare indeed. 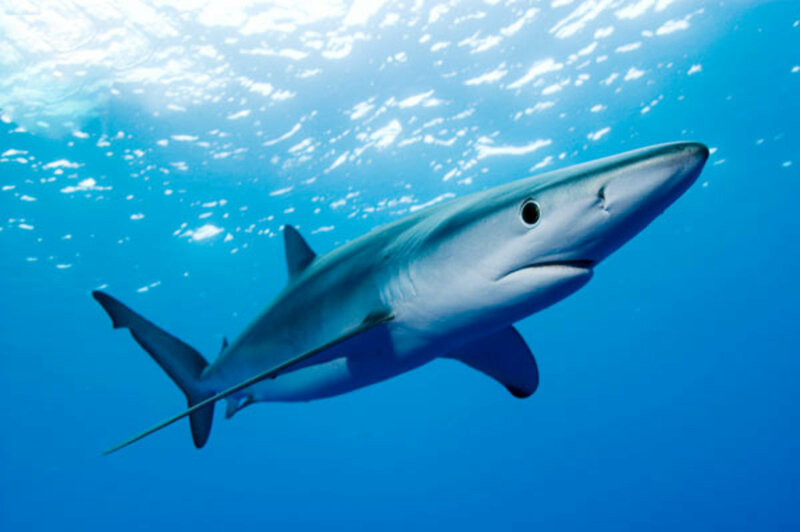 Some folk may be relieved to hear the Mediterranean sharks are among the most endangered sharks in the world having been fished almost to extinction, but the loss to the world's ecomarine system may have wide ranging results. Top of the oceanic food chain, the loss of the shark will mean a rise in numbers of their natural prey. While just about every living thing in the sea is prey to one or other kind of shark, the natural order of things is that they seek out and kill the weak and sick of the species first. The collapse of the shark may mean rising numbers of sick creatures and before you know it, we have yet another plague or sickness spreading to the world's human population through edible sea creatures. However, I digress. 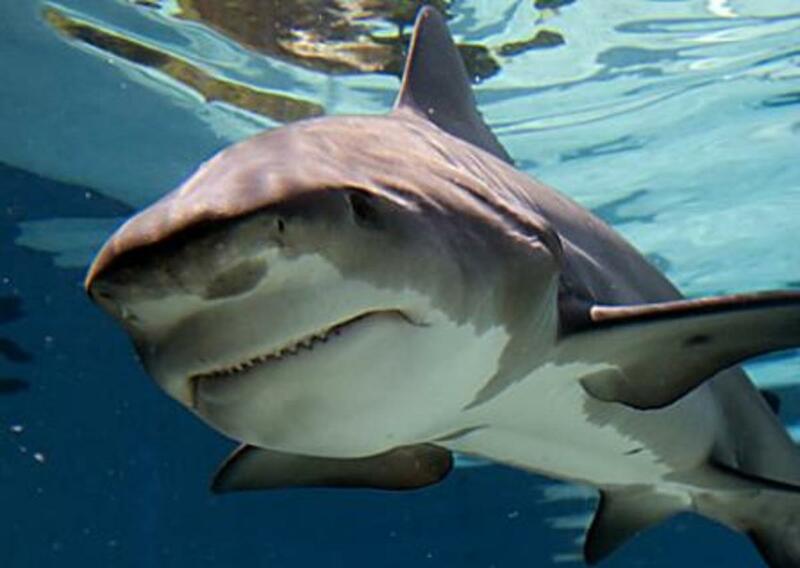 Mediterranean shark attacks are thankfully rare and likely to become even rarer due to loss of shark numbers. 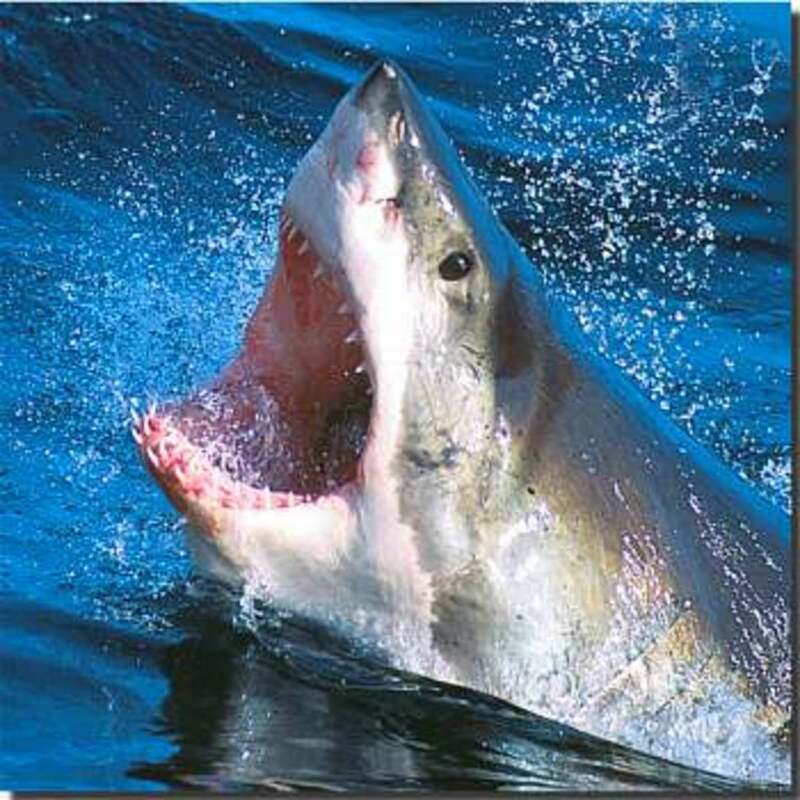 Historically, according to the International Shark Attack File, there have been a total of 36 reported shark attacks in the Mediterranean sea over the past 150 years, of which 18 have proved fatal. If you think this is a high number, think of the millions of people who annually bathe in the Mediterranean Sea, or the hundreds of thousands who fish there, and spread those numbers out over the last 150 years, and suddenly the rate of shark attacks drop to an insignificant figure. 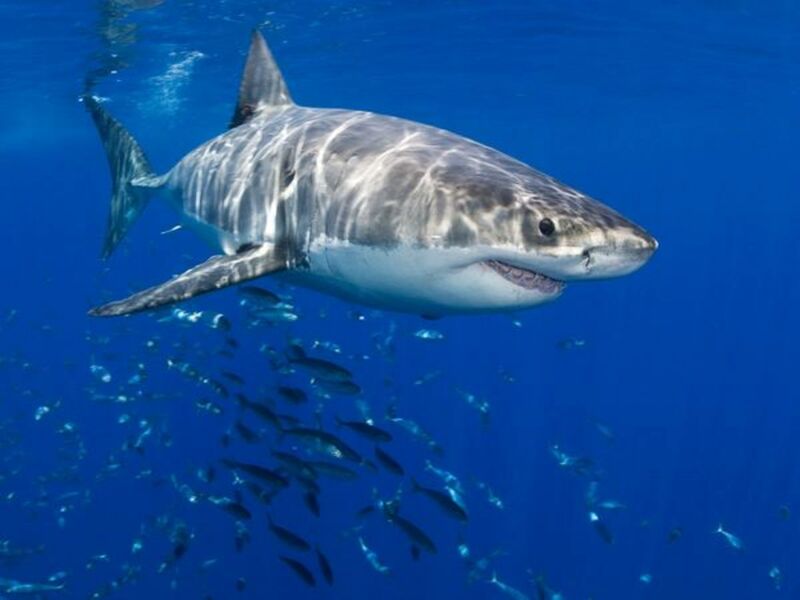 Long suspected to be the breeding ground of the Great White shark as well as up to 45 other species of shark, the Mediterranean Sea is relatively safe from shark attack. 55. On October 6th, 2008, at Vis Island, Smokvina Bay, CROATIA a 43 year old spear fisherman, Damjan Pecek was bitten on the calf by a 5 metre great white shark. 54. On July 13th, 2006 at San Juan Beach, Alicante, SPAIN, a 7 year old unnamed girl had her hand and wrist severely bitten. Shark involvement was not confirmed. Authorities think it may have been caused by a bluefish. 53. 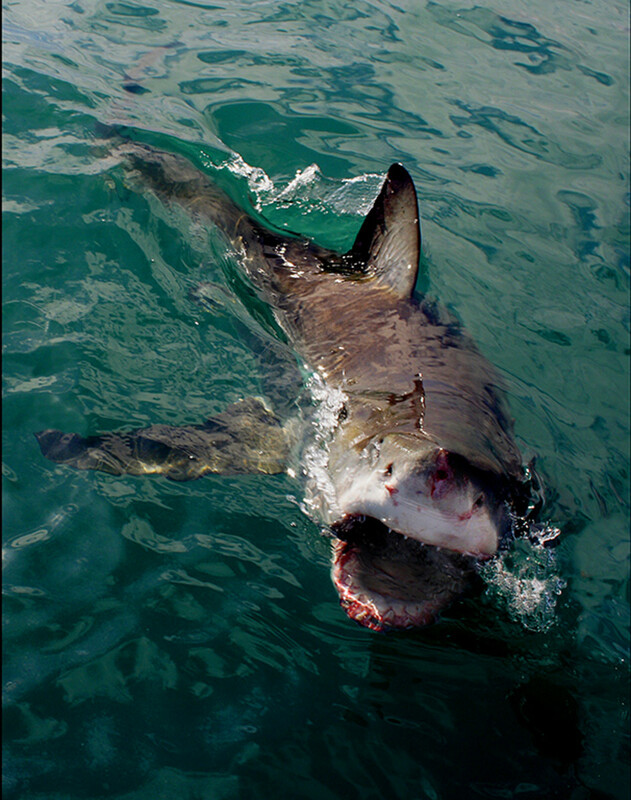 On the 3rd of September, 1993, at Valencia, SPAIN, a 69 year old man, Jorge Durich Heredia (or Hernandez) had his thigh bitten, and toes from his left foot severed by a 1.5 metre (5') dogfish shark, while swimming. 52. On the 3rd of September, 1993 at the Playa de las Arenas, Valencia, SPAIN, Jose Hernandez had his toes severed by a 4' shark, while swimming. 51. ON the 6th of June, 1989, between Punta Blanca and Marine del Carrara, Marinalla, Tuscany, ITALY, Ezio Bocedi, a man who was windsurfing, was bitten on the thigh by a 3 metre great white shark. He had slid off his board in order to urinate in the water, and the shark attacked. 50. FATAL On the 2nd of February, 1989, in the Tyrrhenian Sea. 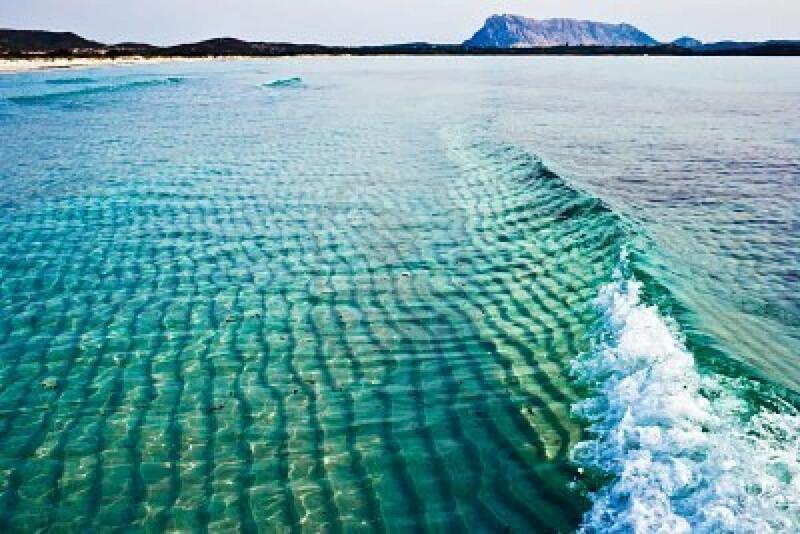 ITALY, at Golfo di Baratti, near Piombino, 47 year old Luciano Constanzo had been scuba diving. 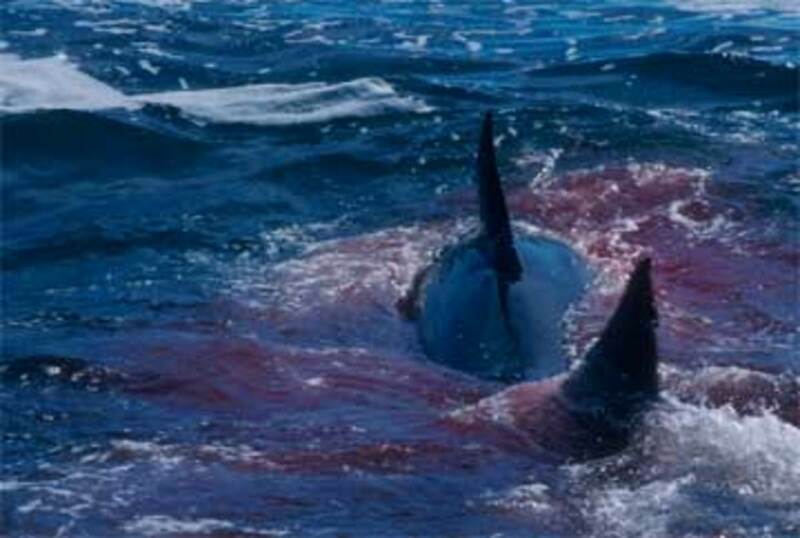 He was swimming on the surface when he was attacked by a 6 metre (20') great white shark. His body was not recovered. 49. On the 2nd of August, 1989 in the Adriatic Sea at Ippocampo, ITALY, there was a shark attack. No details recorded but the victim survived. 48.On either mid-July, 1985 or 1986 in Sicily, ITALY, at Punta Secca, 13 year old Neil Montoya was snorkeling when 3.6 metre great while shark attacked and caused contusions on his foot. 47. In 1982 at Biserta Bechatuer, TUNISIA, an English holiday-maker was spearfishing when he was attacked by a shark. There are no further details recorded. 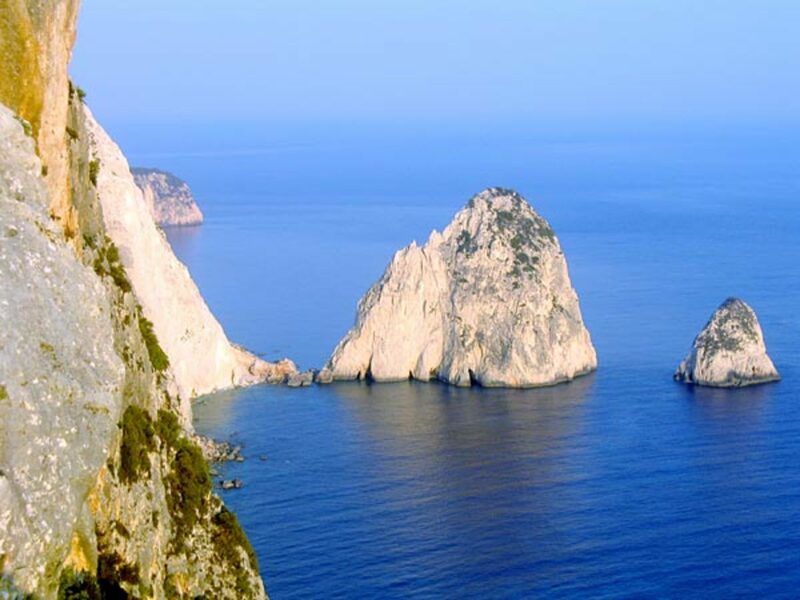 46.In the summer of 1981 in GREECE, near Volos Pagastikos, Kolpas, an Austrian male who was spear fishing was attacked. He survived but there are no further details. 45.In the summer of 1981 at Pagasitikos Gulf, GREECE, an Austrian tourist was attacked while spearfishing. No further details available. 44. FATAL On the 10th of August, 1974 at Omis in the Adriatic Sea off CROATIA, Rolf Schneider was attacked and killed by a 5 metre great white shark. He lost his foot and bled to death. 43. FATAL On the 7th of September, 1971, in the Adriatic Sea, a Polish tourist was killed by a shark. No further details available. 42. FATAL Also in 1971, in CROATIA at the Adriatic Sea at Ika, Stanislaw Klepta had his leg severed by a great white shark. 41. FATAL On the 16th of August, 1966 at Dalmatia, on the Adriatic Sea off CROATIA, there was a fatal attack by a great white shark. No further details are known. 40. FATAL On the 1st of June 1963, at Thessaly, GREECE near Trikerion Island, 42 year old Helga Pogl was fatally wounded by a great white shark. 39. FATAL On the 2nd of September, 1962, in the Tyrrhenian Sea off ITALY at Seo Circeo, Secca del quadro, 28 year old Maurizio Sarra suffered multiple injuries to both legs by a great white shark. 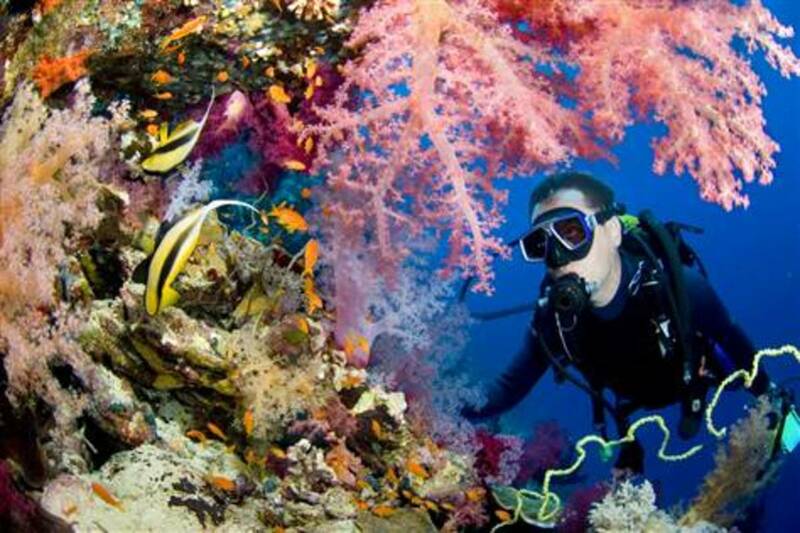 He has been spear fishing while wearing scuba diving gear. 38. On the 31st of August, 1962, at Sharon, ISRAEL, 2km north of Apollonio, a male fisherman encountered a shark. No details of injuries or otherwise are known. 37. FATAL On the 24th of September 1961 in the Adiratic Sea off CROATIA at Opatija on the north western coast of Rijeka bay, 19 year old old Sabit Plana had his hand severed and leg bitten by a great white shark. 36. On the 7th of July 1961, in the Adriatic Sea at Riccione, ITALY, 21 year old Manfred Gregor was bitten on the foot by a 4.5 metre great white shark. 35. In September 1956, in the Tyrrhenian Sea, ITALY, 1.5 miles south of San Felice Circeo, scube diver Goffredo Lombardo survived an attack by 13' female great white shark. 34. FATAL On 20th of July, 1956, at St. Thomas Bay, Marsascala, MALTA. 40 year old Jack Smedley was fatally wounded by a great white shark. 33. FATAL In 1956, at Kerkira, Corfu Island, GREECE, a 15 your old girl (surname Margoulis) was killed by a great white shark while swimming off a yacht. Her body was not recovered. 32. FATAL In August 1955 at Budva, Adriatic Sea, MONTENEGRO, there was a fatality caused by a great white shark. Details unrecorded. 31. On the 4th of August, 1952, at Genoa, ITALY, a 14 year boy suffered an arm injury after stabbing a great white with a hunting knife while spear-fishing. 30. On the 4th of August, 1952, at Genoa, ITALY, 17 year old Andrea Podesta had his leg bitten by a 200lb shark while spear-fishing. 29. FATAL On the 3rd of November, 1951 at Almalfi, Salerno, ITALY, Anna Wurn (no age given) was fatally injured by a shark while swimming. 28.On the 17th of August, 1951, at Corfu Island off Royal Residence, Mon Repos, GREECE, 18 year old George Athanasenas was injured by a great white shark. 27. FATAL On the 17th of August, 1951, at Corfu Island off Royal Residence, Mon Repos, GREECE, 15 year old Vanda Pierri was eaten by a great white shark. Body not recovered. 26. FATAL In the summer of 1950 at Piraeus, Athens, GREECE, someone was fatally injured by a shark while swimming, the details of which have not been recorded. 25. FATAL On the 22nd of September, 1948, at Keratsini in GREECE, 17 year old Dimitrios Parasakos was fatally wounded by a 32' foot shark, while swimming. 24. On the 5th of February, 1945, at Tel Aviv, ISRAEL, a male British constable was attacked by a shark while swimming. The shark was subsequently scared off by the tactics of an RAF pilot, who swooped his plane down low on seeing the commotion in the water, and scared the shark off. No detailed report on injuries sustained or otherwise. 23. FATAL In 1944 in the Adriatic Sea off ITALY a M-24 aircraft crashed into the sea and a crew member was eaten by a shark. 22. In August 1943 in the Tyrrhenian Sea, ITALY, 40 miles south of Naples, a Sea Flying Fortress bomber aircraft crashed into the sea. The co- pilot, U.S. Lieutenant Robert D. Krutz was swimming on the surface awaiting rescue when he was bitten on his arms, hands and feet by a shark. 21. FATAL On the 23rd of July 1926, at Golfo di Genova in the Ligurian Sea, ITALY, 20 year old Augusto Cesellato was attacked and eaten by what was estimated to be a 6 - 7 metre great white shark. His body was not recovered. 20. In 1917 in Tripoli, LIBYA, a male was bitten by a shark which he repelled with his skandalopetra, while diving for sponges. 19. FATAL On the 25th of April 1909, off the coast of TUNISIA, Johannis Zambetta was eaten by a shark. 18. FATAL In January 1909, in the sea off Capo San Croce, Sicily, ITALY, three bodies were recovered from the belly of a shark caught in a fishing net. They were of an unidentified male, female and young girl. They may have drowned and been eaten later, no-one knows for sure. This happened with days of December 28, 1908 earthquake and tsunami in which more than 100,000 people lost their lives as coastal towns and communities were destroyed in Sicily and Southern Italy. 17. 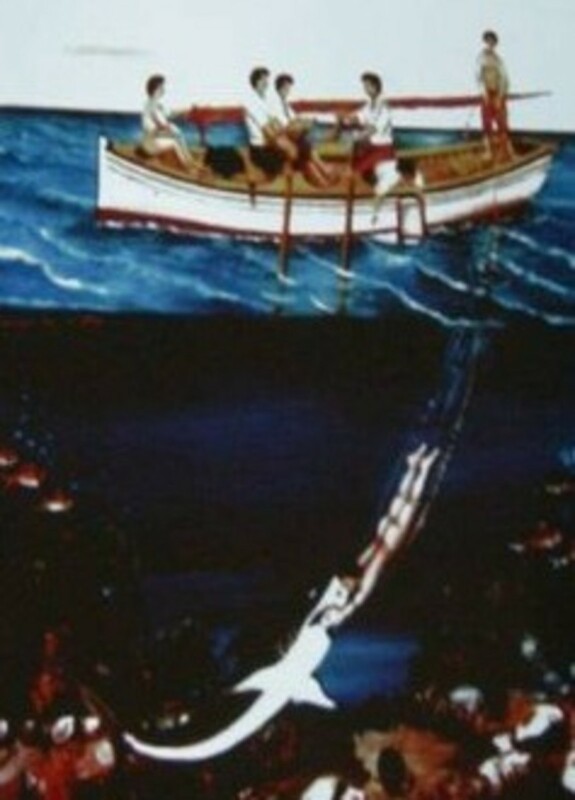 FATAL In January, 1908 in the Adriatic sea off SLOVENIA, Milena Scambelli lost a leg before succumbing to blood loss. Thought to have been a great white shark but not confirmed. 16. 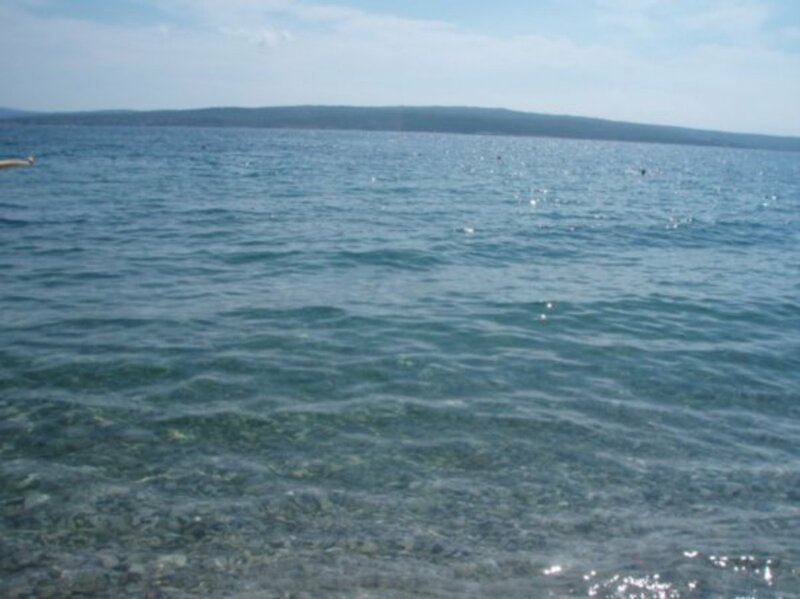 FATAL On the 12th of August, 1907 at Krk Island, Bay of Kirner, CROATIA, a female school teacher was fatally injured while swimming. 15. FATAL On the 12th of August, 1907 at Krk island, Bay of Kirner, CROATIA, Josef Slivovoc was fatally injured by a shark while swimming. 14. FATAL On the 7th of March, 1907, at Marsaskala, MALTA, 2 fishermen were killed by a 6 metre great white shark when they fell overboard while fishing. 13. FATAL In the summer of 1903, at CRETE, two sponge divers were fatally wounded by sharks. 12. 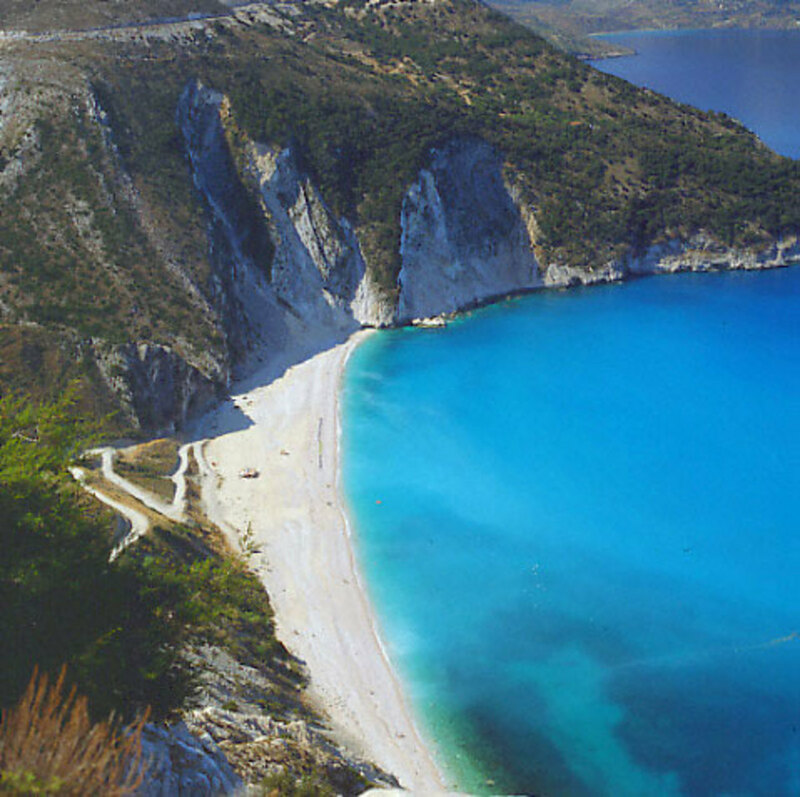 FATAL On the 14th of November, 1902, in ITALY near Naples, a male was fatally injured while swimming. 11. In June, 1902, at Marsa Matruh Tzortzou Reef, EGYPT, a sponge diver identified only as Giorgos was bitten on the hand and thigh. 10. FATAL on the 23rd of September, 1901, at Larnaca, CYPRUS, a teenage male was fatally wounded with bites to his arms, chest and legs while swimming, by a 2 metre shark. 9. On the 8th of August, 1899, at Port Said on the Mediterranean Sea, EGYPT, a 9 year old Arab boy had his back muscles torn away while floating on his back. Thi happened at 11.30am. 8. On the 8th of August, 1899, at Port Said, EGYPT, a 19 year old arab boy had his forearm, wrist and hand bitten by a shark, while bathing. This happened at 9.30am. 7. On the 8th of August, 1899, at Port Said, EGYPT, a 13 year old Arab by had his leg bitten while bathing. This happened at 8.30am. 6. On the 11th of July, 1899, at Genoa, ITALY, two fishermen landed a shark into their boat. It promptly bit one on the arm and the other on the face and neck. 5. FATAL On the 4th of May, 1899, at the Imperia Province Bordighera, ITALY, the valet of the Earl of Strathmore and Kinghorne was fatally wounded by a shark. 4. FATAL On the 25th of February, 1890, at Marsascala Munxar Reef, MALTA, a fishing boat with 4 men on board was rammed by a shark, knocking all 4 men into the water, Two were subsequently lost, presumed eaten by the shark. 3. FATAL On the 8th of December, 1884, in FRANCE somewhere between Nice and Villefranche a child had her leg severed by a harpooned 10' shark. She subsequently died from the blood loss. 2. Circa 1881, at Stretto di Messina, Sicily, ITALY, a man was attacked by a great white shark while fishing from a boat. His injuries were non-fatal. 1. FATAL On the 1st of September, 1868,at Treste in the Adriatic sea off ITALY, a male was fatally injured by a great white shark. I make that a total of 36 shark deaths in the past 150 years to 2011, and 55 attacks. 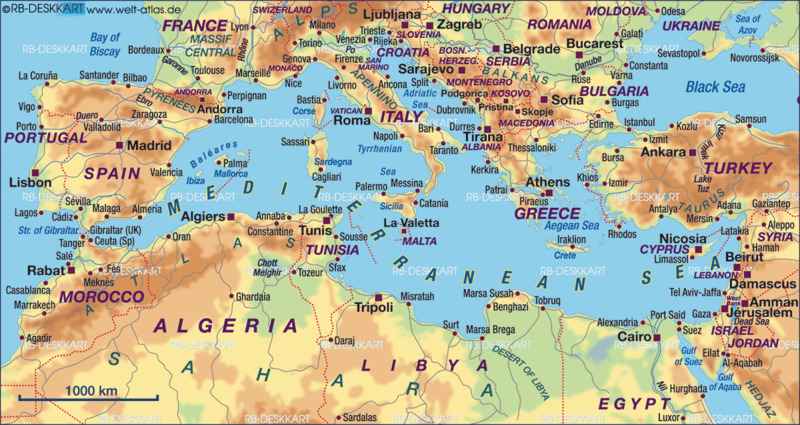 This is taking in the whole of the Mediterranean Sea which of course includes the Adriatic and Tyrrhenian Seas. I have not included what could be termed encounters with sharks where no injuries occurred, although the International Shark Attack database automatically includes them. This is a list of all reported shark attacks globally in the year 2011. Where is the attack on José Luis Pérez Día, in Tarifa? On March 18, 1986, José Luis Pérez Día was practicing windsurfing 300 meters from the shore, in Tarifa (southern Spain) when a white shark knocked him down and bit his right foot. The wounds were so severe that they had to amputate his foot. There was a fatal attack by great white shark in Volosko, Croatia, in 1956 witnessed by my sister.. A German woman was eaten alive by the shark in front of scared people on the beach. I think there have been a few more. 1934, fatal attack on an 18 year old girl at Susak, Croatia [previously Yugoslavia]. 1950s, 2 attacks off Corfu. Other attacks off Greece in early 1980s. For French, you have in 1986 Prionace glauca, no letal attack near Gruissan. I think number 45 and 46 might be the same attack. As both occur in Pagastikos in Volos in the same year to an Austrian that was spear fishing. 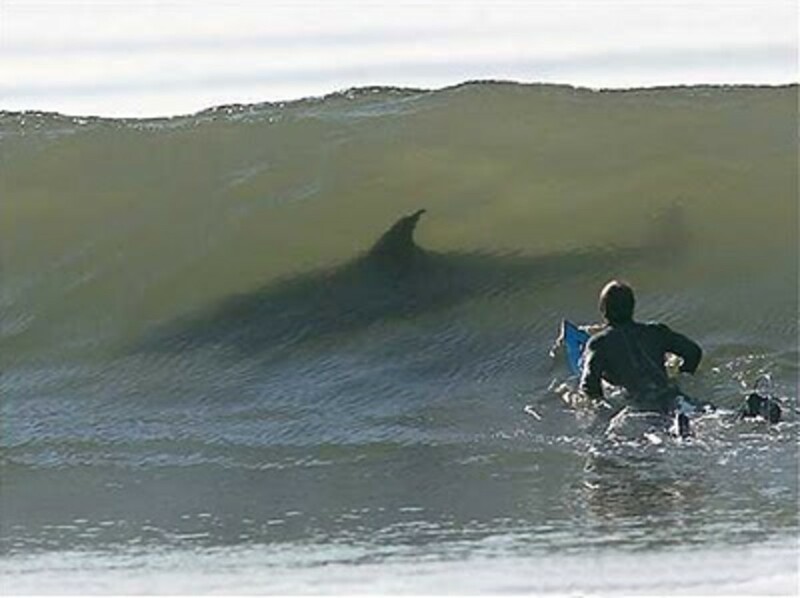 LOL, you will be nervous now when you go in the water! Don't worry, the Mediterranean sharks are decreasing in numbers and your chance of meeting one is pretty slim. why did i read this ? i just couldn´t stop myself could i, oh no, i live in Spain, on the coast, and the sea is just getting warm enough for a quick dip, i really don´t use the brains i was born with, my mother was right all along. Carrie. I am never writing hubs called Shark attacks in Florida, or shark attacks in South Africa because they would make the biggest hubs of all time LOL. At least all the shark attacks in the Med can be recorded in one page! What an amazing article, if a bit scary! Sharks are just totally fascinating to me! I love writing about them, beats swimming in the sea anyday! No its actually incredibly few. If you ever have a look at the world database of shark attacks, it's South Africa, South Africa, Australia, Australia, Australia and so on. The Med is hardly touched on. What I find strange is that sharks are moving into colder waters, like those around the UK. Not trying to frighten you or anything - after all, you live inland...! i dont suppose that 36 deaths in 150 years is that many- but at the same time I am very glad I live inland!